Axis Mundi is an online journal edited and maintained by Religious Studies graduate students at the University of Alberta. We accept contributions from students in any year of study—undergraduate and graduate—in universities and colleges across North America. 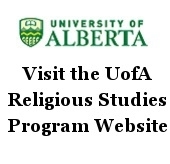 We encourage submissions pertaining to any aspect of the academic study of religion. 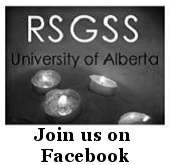 Axis Mundi is sponsored by the University of Alberta Religious Studies Program and affiliated with the UofA Religious Studies Graduate Students Society (RSGSS). 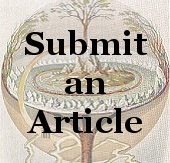 Please note that Axis Mundi is not currently processing any new submissions. You can still access all of our previous articles (via "Archives"), though! 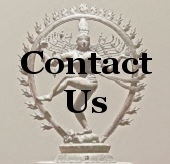 As many of you know, Axis Mundi has had some significant technological difficulties the last few months which required a complete overhaul of the website. While we were doing all of that behind-the-scenes work, we also decided to make a few design changes as well, which we hope you'll enjoy. I'd especially like to thank Oksana Cheypesh, our webmaster, and Ramal Kanaweera, team lead of the University of Alberta Arts Resources Centre, for helping get things back up and running again. And I to apologize to anyone who was inconvenienced by our rather prolonged absence. Thank you for your patience. Malachi’s prophetic voice continues to speak today through its interpreters. This article considers two of Malachi’s oracles, namely the pronouncement against divorce (Mal 2:10-17) and a call to faithful temple tithing (Mal.3:8-12) citing some of their contemporary and popular interpretations. It notes major themes that run through the book, highlighting key cultural and historical realities of Malachi’s day and its context of corporate unity. It demonstrates how differently Malachi can be understood by ignoring or utilizing the interpretive framework of historical, cultural and religious backgrounds. The study of mystical experiences is an endeavor that has been approached in many ways. One unresolved issue in this area of study is whether or not there is a particular type of experience underlying the traditionally religious interpretations, which can be termed “mystical.” In this paper, the author posits that some of the foundational claims of the common core view and the social constructivist view of the nature of such experiences, respectively, are not completely incompatible. Rather, the two approaches may converge with regard to the cognitive foundations of cross-culturally accessible anomalous experiences.